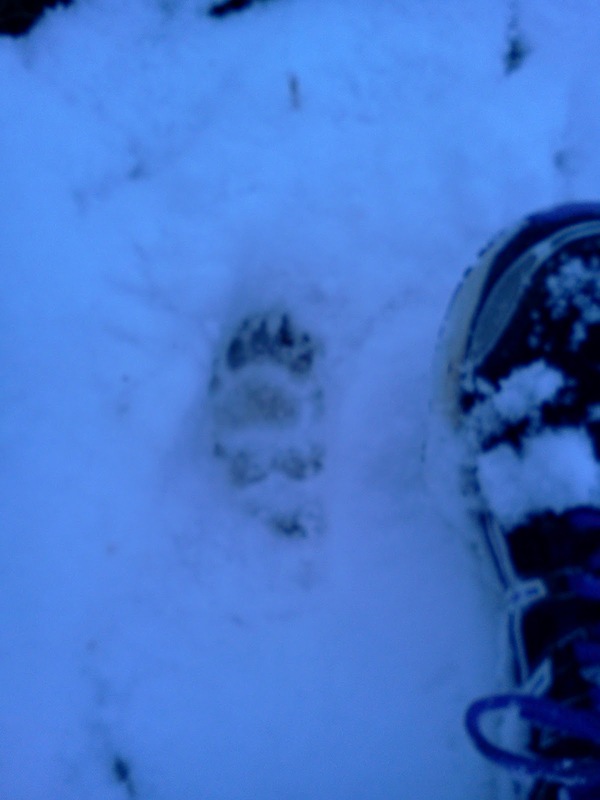 So this is the photo of the paw prints I spotted today whilst out running. Quite wide, very distinctive claw marks. I was hoping it was a badger, as I’ve never found badger prints before and its years since I’ve seen a badger whilst out and about. I was telling my son about the tracks, and he helpfully suggested it was the ‘beast’ – a wild cat which was reportedly spotted around here a good few years ago. I’ve only just got over my fear of the ‘psycho pheasant’ who attacked me along here several years ago. Now I’ve got a large (hungry?) wild cat to worry about as well!